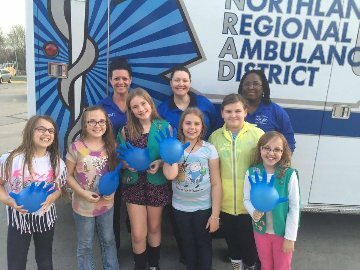 Northland Regional Ambulance District - Thanks to Troop 3122 - we enjoyed having you! Thanks to Troop 3122 - we enjoyed having you! 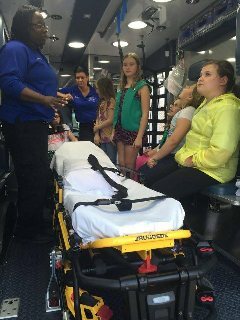 Thanks to Girl Scout Troop 3122 of Smithville, and their leaders, for joining us to learn basic first aid, and about emergency medical and other services Northland Regional Ambulance District provides. What a great group of girls!